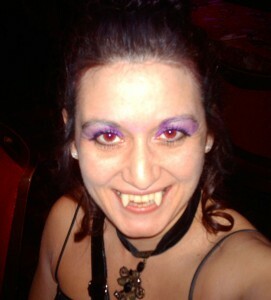 Me as a vampire. Actually, not a Halloween outfit but a Christmas one.. I didn’t choose the theme of the party – honestly.